Angotti & Straface Attorneys at Law L.C. represents West Virginia residents who have been charged with repeat, aggravated, and felony DUI charges. Our team is dedicated to minimizing the harsh criminal penalties imposed on those charged with driving under the influence. In West Virginia, the penalties for repeat DUIs are severe. Do not let yourself become a victim of misguided, targeted law enforcement efforts that violate your rights. If you have been falsely accused, our attorneys offer over 66 years of combined experience to present the best possible defense. If you have made a mistake, we will work to aggressively defend you. Contact our experienced DUI legal team immediately so that we can begin to prepare your case. 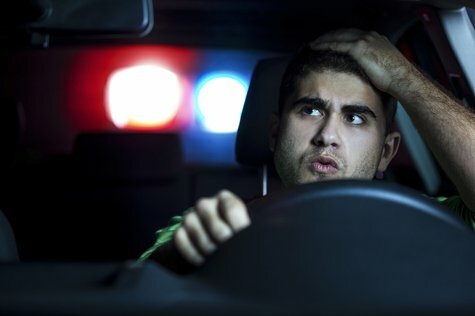 If you were found to have been driving under the influence and your acts contributed to the death of an individual with reckless disregard for the safety of others, your conviction will be considered a felony. You face extreme consequences. Additional civil and criminal penalties may apply. Any commercial motor vehicle operator convicted of DUI (with a BAC of 0.04% or greater) or who fails to submit to BAC testing will have the CDL revoked for one year for a first offense. If transporting hazardous materials during an initial DUI conviction, your CDL will be revoked for three years. Conviction for a second CDL DUI offense results in lifetime CDL revocation. Any individual convicted of driving with a BAC of 0.15% or greater will face the penalties prescribed for aggravated DUI. There are many categories of DUI-related offenses with varying penalties. Do not take chances with your driving privileges and your freedom. Contact Angotti & Straface for experienced, skilled legal defense for repeat, felony, and aggravated DUI charges. Our law firm aggressively works to protect our clients. For a free initial consultation, call our office at: (304) 292-4381.